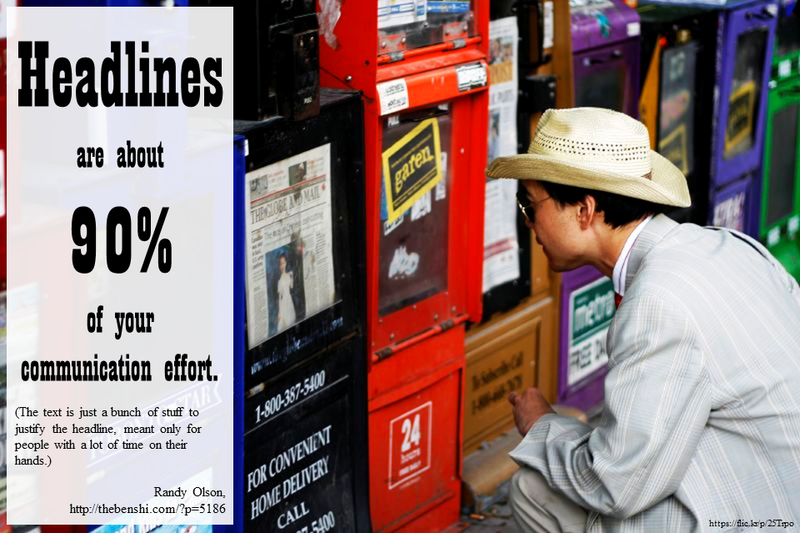 In today’s short attention-spanned world, headlines are about 90% of your communication effort (the text is just a bunch of stuff to justify the headline, meant only for people with a lot of time on their hands). If someone were to read just your poster title, would they know what you wanted them to know? Yes I also think so. My poster, my Heading line Or my introducing line can help the people to learn at a glance about myself. Agree with your post.